It’s been two years since we closed our brick and mortar “Kollodge Gallery” in Canal Park. We thought we were going to go directly to a Web Gallery when we closed but for a number of reasons that didn’t work out! In the meantime we bought a new house on Park Point in Duluth and so we do have a studio space now to show work on an appointment basis. Check out the web site and let us know if you like it and please let us know if you have any questions. 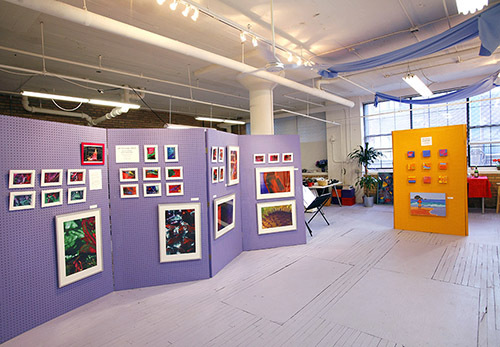 Kollodge Gallery was in Canal Park above Hell’s Kitchen from 2005-2008. 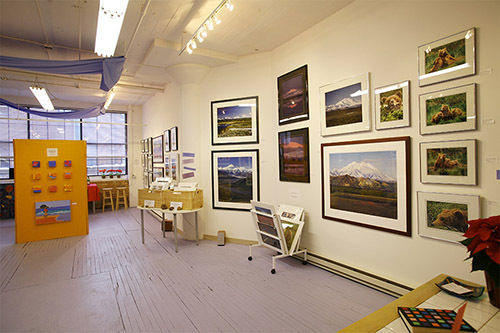 Here’s two photos to show our friends in Alaska who never got to visit what it looked like and to remind our new friends and customers from around the area of the good times we had in this space. We would love to hear from all of you. Please let us know what you think. We still have a lot of work to do to get more art up for you to look through. This was the view as you entered our 2nd floor loft gallery.